By now, pretty much everyone has heard of the elevator speech. You know the drill, describe what you’re working on, why it matters and what the other person can do to help in 60 seconds or less. I’ve read lately that the Tweet is the new elevator speech. Can you describe what you’re working on and why it’s important in 140 characters or less? It’s all about the idea behind the famous line from T.S. Eliot, “If I had more time, I would have written a shorter letter.” It takes time and effort to boil down the essence of what you’re trying to do to a short and memorable idea. 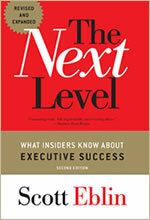 In her weekly Wall Street Journal column, Peggy Noonan built on this point by telling the story of what 20th century renaissance woman Clare Booth Luce once said to John F. Kennedy, “a great man is one sentence.” As Noonan explains, “His leadership can be so well summed up in a single sentence that you don’t have to hear his name to know who’s being talked about.” The first two pictures in this post are captioned with Noonan’s examples to give you additional insight into her point. Someone once said that strategy is as much about what you’re not going to do as what you’re going to do. Great leaders know how to focus and to keep the group’s attention focused on the most important things. "city slickers" great movie, mostly because he delivers the calf. but also the idea of "one thing," focus, unity of purpose, your zeal. Great post...simple yet elegant. Instant recognition, we all know people who enter the room or the conversation before they even arrive. In my mind, this is a noble goal and capturing "it" in one sentence is the ultimate compliment. I've always said to people that I live or work with that: "No matter what, we will do the right thing". The simplicity of that statement and my continual striving to demonstrate that behavior has helped in family and at work. Your take on the six-worded memoir peaked my interest and now I'm trying it as an experiment in both work and school. Thank you. Along the same lines: the book Your Leadership Legacy by Robert Galford and Regina Maruca. http://www.yourleadershiplegacy.com. There's an anonymous, web-based leadership assessment test on that site that helps you understand your leadership style. Developing great leaders; achieving extraordinary results. I’ll be incorporating this exercise into our leadership development programs – thanks!